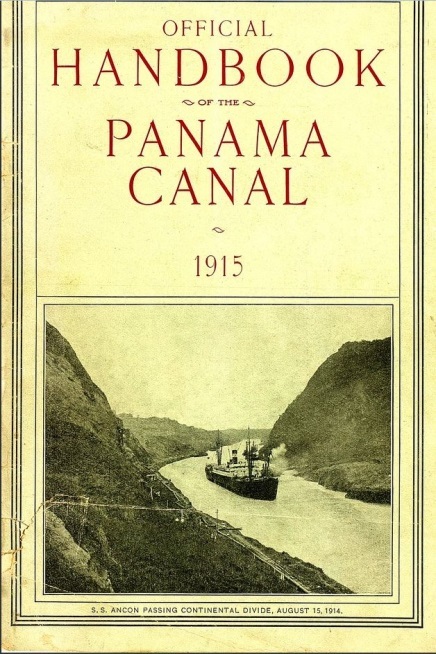 On August 15, 1914 the Panama Canal officially opened, and the SS Ancón was the first vessel to pass through. This August marks the 100th Anniversary of the Panama Canal. Congress began to consider a canal between the Atlantic and Pacific Oceans in the 1880s. It was determined essential for commerce and defense. There are several online guides commemorating the 100th Anniversary of the Canal. You can follow 100 Days in Honor of 100 Years with a countdown to the anniversary and posts about significant moments in history from the Embassy of the United States in Panama. 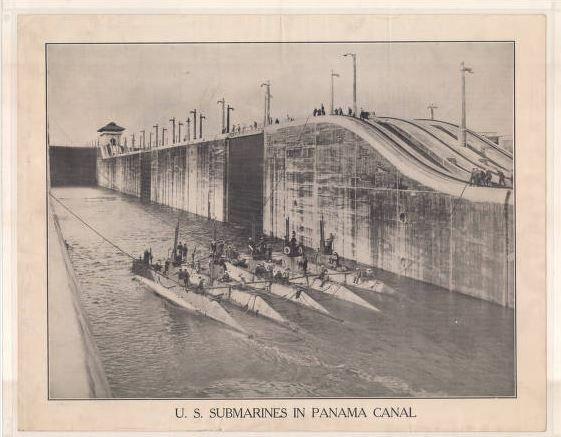 Also check out the online resource guide from a GPO partner, Panama and the Canal that is a joint project from the University of Florida George A. Smathers Libraries and the Panama Canal Museum. It contains a wealth of information about digital history records, maps, and documents. To celebrate the Centennial, University of Florida has put together a Web site about special exhibits and the anniversary. 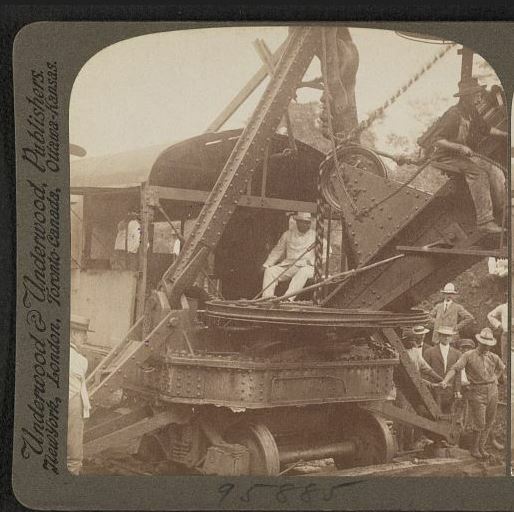 Once Panama was agreed as the location and the U.S. determined to go the project alone, construction continued on an attempt in the 1880s by a French Expedition to build a canal through Panama. An overview of the history of the building of the Canal is available on the U.S. Department of State Office of the Historian Web site. Some Official Handbooks from early days of the Canal are available online. See the 1913 edition or the 1915 edition available from the depository collection of the University of Florida, or this 1911 edition from the Internet Archive. You can also visit Federal depository libraries nationwide to see what documents are available in their collections. The Library of Congress Newspaper & Current Periodical Reading Room provides some links to history and some historic articles about the Canal. The Panama Canal was administered by the United States until 2000 when control was passed back to the Republic of Panama. 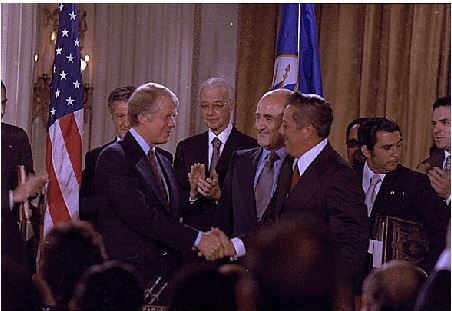 This was set as an agreement signed by President Jimmy Carter in 1977, The Panama Canal Treaty and Neutrality Treaty. In 1989, a publication was produced to commemorate the 75th anniversary of the Canal. You can read Honoring the Past by Building the Future: The Panama Canal 75th Anniversary online through GPO’s Catalog of U.S. Government Publications. It contains some great photographs, and information about the history and vision of the future of the Canal. Several Hearings have been held and legislation passed on Canal construction and management. Hearings about the project have been held in Congress since the beginning in the 1850s. You can visit a Federal depository library to research the legislative history. You’ll find reports such as the 1909 Hearing concerning estimates for construction of the Isthmian Canal, fiscal year 1911. In 1986, a briefing report was submitted to the House of Representatives from the Government Accountability Office to study alternatives to the Canal in preparation for returning control of the zone to the Republic of Panama. In 1999 a Hearing before the Committee on Armed Forces discussed the Security of the Panama Canal. In 2002 an agreement between the U.S. and Panama was signed to outline response and assistance in responding to environmental issues that would impede trade and commerce in the Canal. A 2014 Hearing before the Senate Committee on Commerce, Science, and Transportation discussed what expansion of the Canal will mean for American freight and infrastructure. The Panama Canal Commission was established in 1979 as an independent agency, purposed with operating and maintaining the Panama Canal. The commission was transferred to the Republic of Panama with control of the Canal in 2000. The Federal Register has a list of the Panama Canal Commission publications available in electronic format back to 1994. You can also access some documents in GPO’s Catalog of U.S. Government Publications, such as the Constitutional Title of the Panama Canal and the Organic Law Panama Canal Authority from 1997. Some of the commission reports are also available, such as the 10 year report (1980-1989). In addition to the Panama Canal Commission records, The National Archives holds many records from the Panama Canal. This blog post from 2013 discusses the employee services records cards collection, and this blog post discusses a component of the personnel files that can be mined for genealogy and other research. Several amendments and pieces of legislation can be found in the documents at Federal depository libraries, or through a search in GPO’s Catalog of U.S. Government Publications. You could also browse GPO’s Federal Digital System (FDsys). Just last year a resolution was put to the House (H.R. 2760) to celebrate the centennial of the Panama Canal by minting commemorative coins. The Panama Canal has always been intended as an economic resource. You can see from this report, Panama Canal traffic and tolls from 1912 that the value in commerce and trade were at the forefront of reasons for the U.S. to invest in the project. For more about the role of the canal in trade, check out U.S. Free Trade Agreements: 20 Ways to Grow Your Business, available from the GPO Bookstore in print or eBook. It includes a chapter on Panama and discusses trade through the Canal. This January 2000 report, The Panama Canal in Transition: implications for U.S. Agriculture, discusses the impact of the Canal transition on U.S. Agriculture. The total volume of trade between the U.S. and Panama reached $10.5 Billion in 2012, according to a fact sheet on this important economic partnership from the U.S. Department of Commerce. The Department of Commerce article also links to a discussion on the Panama Canal Expansion Project from the Acting Secretary of Commerce, Rebecca Blank. The U.S. – Panama Trade Promotion Agreement was signed in 2011. It is an expansive free trade agreement and covers trade in goods and services, including financial services. You can read more about the agreement on the Office of the United States Trade Representative Web site. The U.S. Trade Representative Web site has a useful key facts page about U.S. – Panama Relations. The White House Web site also has a fact sheet about U.S. – Panama Relations. 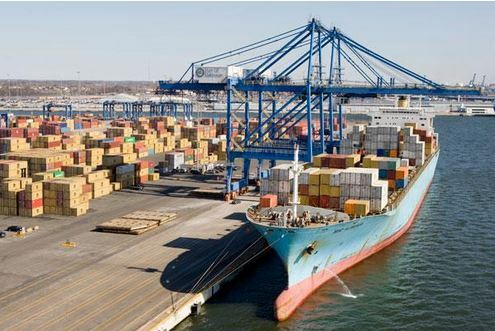 For further reading, see this article in Environmental Health Perspectives from the National Institutes of Health about the Canal Expansion and its impact on Port Cities. The building of the Panama Canal was a massive undertaking by the United States. A historical vignette from the U.S. Army Corp of Engineers Web site discusses the project’s chief engineer, George W. Goethais. In addition to feats of engineering, the project involved overcoming the diseases common in tropical regions. You can read about Public Health in Panama in the early 20th Century in this Public Health Report available on PubMed Central, The Public Health Service in the Panama Canal: A Forgotten Chapter of U.S. Public Health. You can also read the 1906 Short Account of the Sanitary Department of the Isthmian Canal Commission from PubMed. The Centers for Disease Control and Prevention has a fascinating article about the Panama Canal within its online resource about Malaria. The Isthmian Canal Commission was created to oversee construction of the Panama Canal. Some of the Reports of the Department of Health of the Panama Canal may be available in Federal depository libraries. Some are also available online. 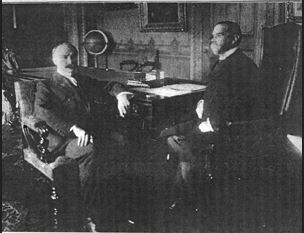 For more about the commission, check out the 1911 publication Executive Orders relating to the Isthmian Canal Commission: March 1904 to June 12, 1911, inclusive. The Commission also authorized schools in the Canal Zone. Check out this Library of Congress finding aid to locate records in those collections about the Isthmian Canal Commission. The Panama Canal is a strategic passage for commerce, but also for military maneuvering by the United States. During times of war, the Canal Zone has been an important passage way and has been strategically guarded by the U.S. Military. The United States Army in World War 2, Western Hemisphere, Guarding the United States and its Outposts includes a section on the role of the Panama Canal in World War 2 and the military efforts to guard this important transportation and commercial outpost. Construction of the Panama Canal included immense effort from the U.S. Military. The Panama Canal: An Army’s Enterprise is available in Paperback and ePub from the GPO Bookstore. This pamphlet describes the military history of the Canal and the efforts of Army officers to bring the Canal to completion. The Panama Canal is undergoing an expansion, set to be completed in 2015. The U.S. Department of Transportation released a report in 2013, Panama Canal Expansion Phase 1 Report: Developments of Trade and National and Global Economies. This article from the U.S. Department of Transportation provides a short summary of the report. You can read more about the expansion project from the Canal De Panamà Web site. About the author: Cathy Wagner is an outreach librarian with the Education & Outreach team in the Library Services & Content Management (LSCM) division at the Government Printing Office. This entry was posted on Tuesday, August 12th, 2014 at 11:55 am and is filed under Department of State, Foreign Relations, Panama Canal, U.S. Army, U.S. Department of State, U.S. History. You can follow any responses to this entry through the RSS 2.0 feed. You can leave a response, or trackback from your own site.